They don’t attend any other after school drama groups. To take part in an acta group, please book a place by completing an enquiry form, or calling the acta office. 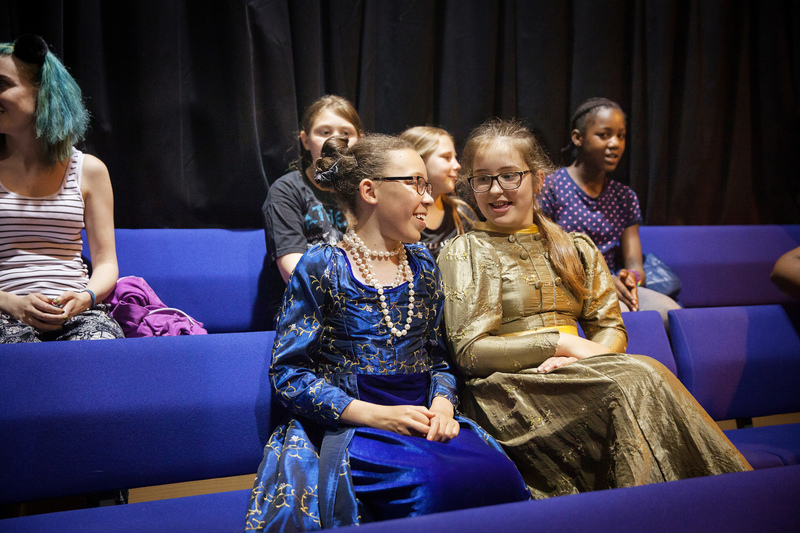 The group gives young carers the opportunity to devise and perform original theatre, in a safe and exciting environment with other young people in similar situations. Transport is provided for any young carers who would not otherwise be able to get to the acta centre. For young carers in other areas of Bristol and beyond, there are opportunities to participate in intensive school holidays projects; once again, free transport is provided. Next project, 18 – 20 February, 2019 at actacentre, a “play in 3 days” challenge. Phoenix Theatre have previously produced The Dream Queen (2013); Lost, Not Forgotten at Arnos Vale Cemetery (2014); Wishing for Winter (2015); Three Green Bottles (2016); A Bit of Imagination (2017); The Underworld (2018).